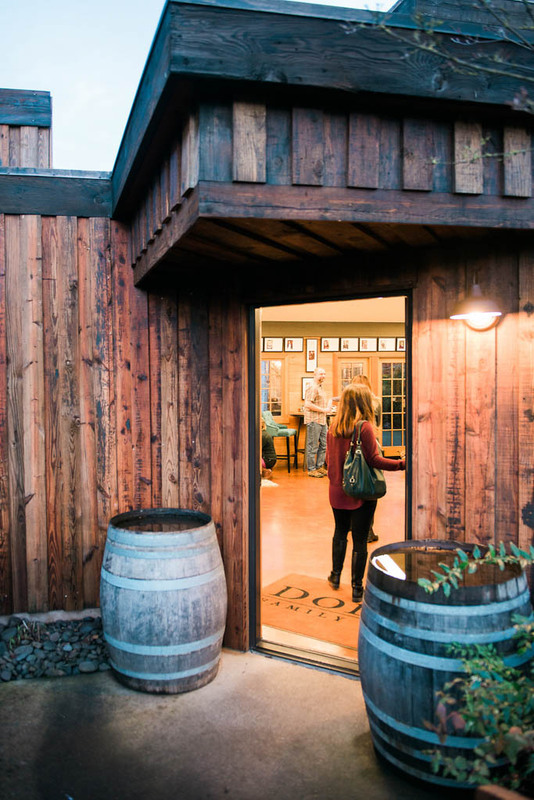 Wine tasting at Dobbes Family Estate in Dundee, Oregon – Dobbes Winery produces amazing Syrah, big Pinot Noirs, and an excellent Grenache Blanc. 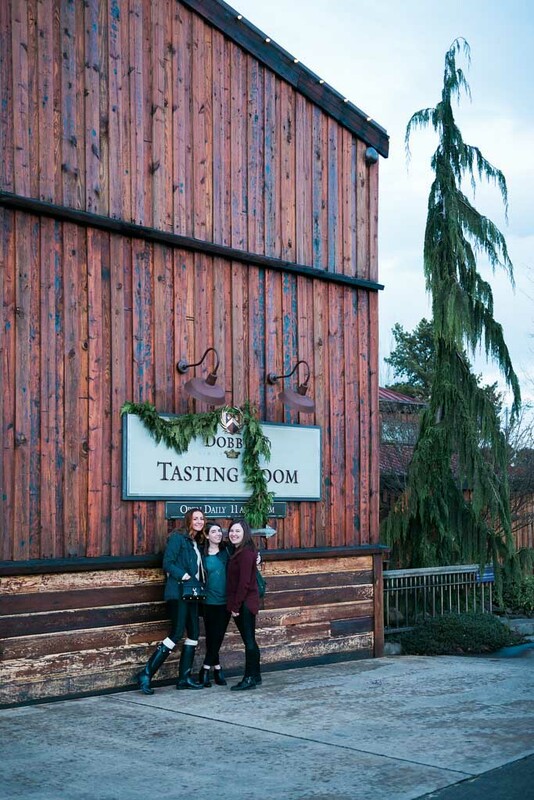 Dobbes Family Estate is pouring some unique varieties that you won’t find at many Willamette Valley locations. For instance, their Grenache Blanc. With flavors of almond, vanilla and stone fruit finished by a tropical aroma, it’s a smooth wine with a good weight to it. Wine Enthusiast gave it 90 points, and it’s priced at just $28/bottle. Another wine produced by Dobbes Family Estate that you’ll not see frequently in the area is Syrah. Dark fruits, spices and notes of tobacco run throughout this robust wine. The grapes for their Syrahs (Grand Assemblage – $28 and Fortmiller – $50) come from the Rogue Valley, in Southern Oregon. The warmer temperatures and additional sunshine in that area allow the grapes to produce that big, bold style that is called for in a great Syrah. Speaking of big and bold, that is what brings me to my next point about why Dobbes Family Estate is distinct. Their Pinot Noirs. 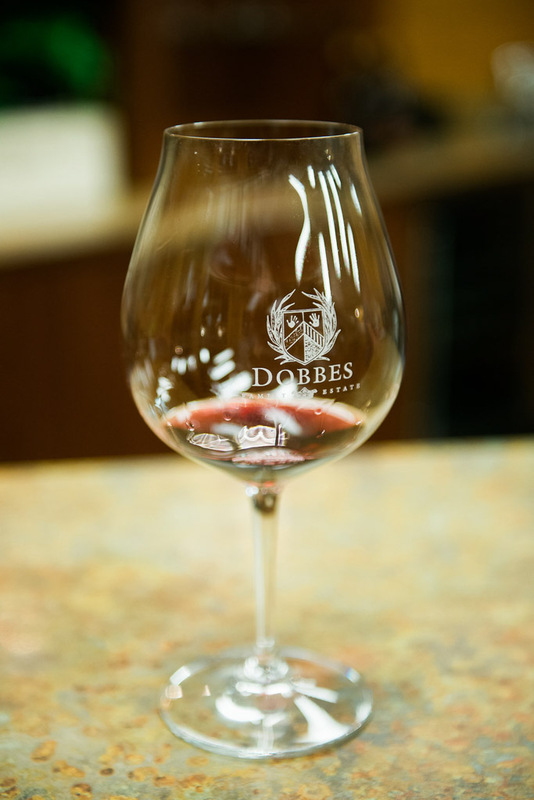 Unlike most of the pinots that you’ll find in the Willamette Valley, which are delicate and light-bodied, the majority of Dobbes’ pinots are of the more masculine variety – Bigger, bolder, and able to stand up to those heavier foods – Like beef short ribs, goulash and a filet mignon. 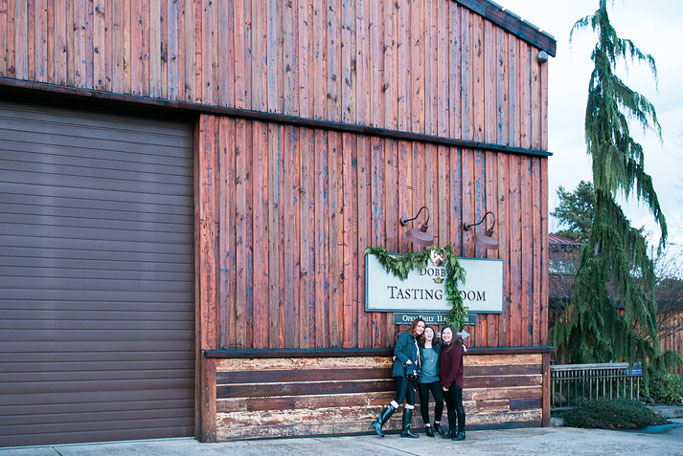 If you have a friend who just isn’t down with those typical Oregon pinots, be sure to take them here, and let them see the other side of things. And the final thing that sets Dobbes Family Estate apart? 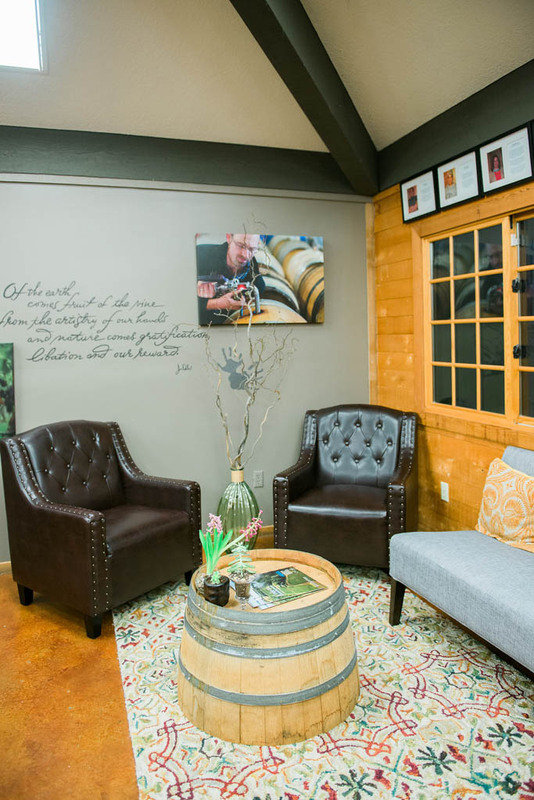 Their tasting room is open until 6pm, whereas most others in the area close at 5pm. Because of this, I usually like to make Dobbes my final stop of the day if we get a late start, especially because they’re conveniently located as one of the last stops in Dundee as you make your way back to Portland. 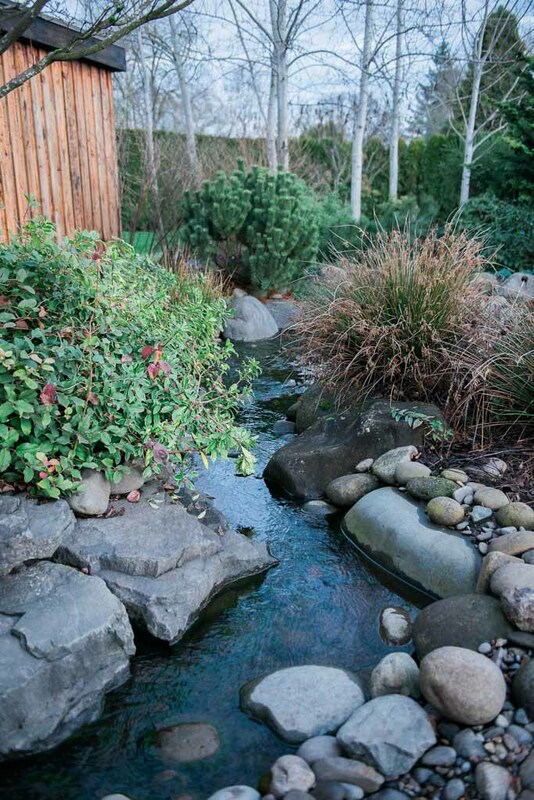 Dobbes Family Estate is open daily from 11am – 6pm and is located at 240 5th Street Dundee, Oregon 97115. The tasting fee for a flight of five wines is $15. And as you can see from the picture below, their staff is obviously fabulous. Interested in visiting other local Dundee wineries? Be sure to check out Lange Estate Winery, Alexana Estate, DePonte Cellars, Raptor Ridge, Sokol Blosser, and Argyle. NOTE: I paid for my tasting flight out of my own pocket and was not compensated in any way for this post. I drove through Dundee over the weekend to take the kids to Wings + Waves Waterpark and thought of you as I drove past Argyle. 🙂 I just read your post on Wings and Waves Brettni – It looks like you had a great time! That sounds good! 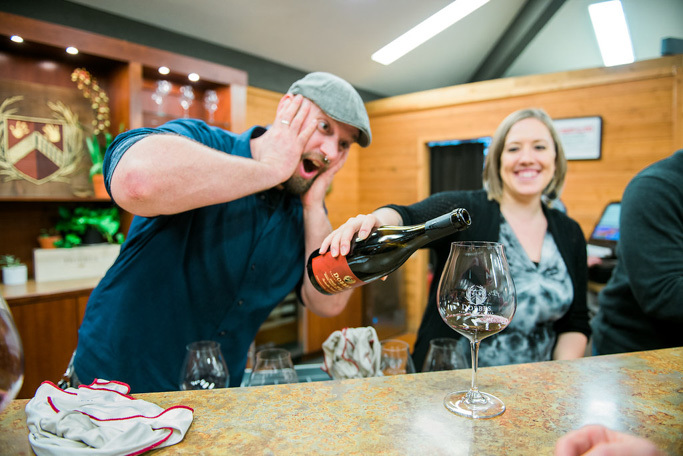 I almost never go wine tasting since I don’t drink much but I just went to one outside Yamhill last weekend and it reminded me how fun it can be! I agree, though, being open till 6 is much better than 4 or 5 like many of them do! I love Dobbes tasting room! I’ve sat there for hours, its so warm and comforting! I’m definitely using your site as a reference when I plan a wine trip with the girls! Thanks for all of your insights! 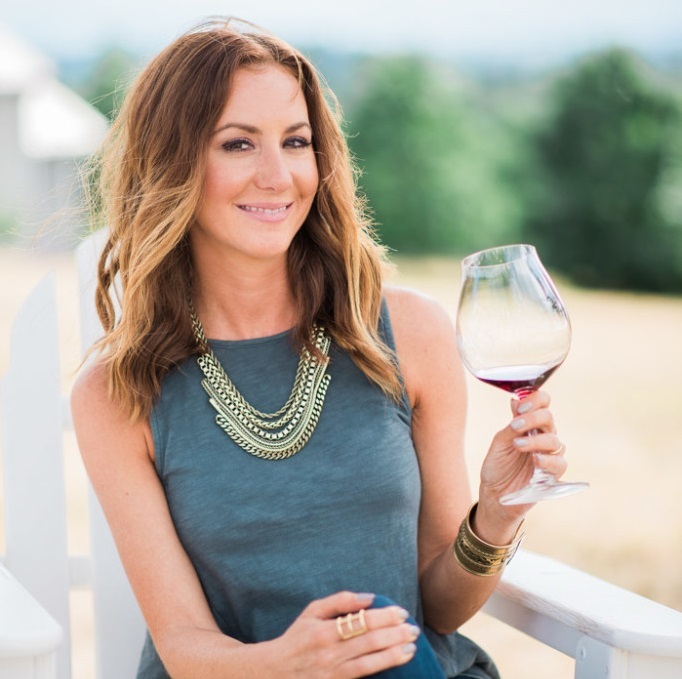 Of course Monica – Wine tasting is definitely one of my favorite things to do, so definitely let me know if you need help planning your trip! I hope you’re able to make it soon. It’s really amazing in the summertime! It really is a great spot Nicole! That’s interesting that their pinot noir is bigger and more intense than the area’s usual. I’d be curious to taste them side by side with a more typical pinot noir. I. Love. a BOLD Pinot! A plate of short ribs and a glass of dobbes pinot sounds like a plan for this weekend. Love it Jenni – It would make for a perfect Mother’s Day! I love Dobbes! Such great people and lovely wines! Their Quailhurst Vineyard Pinot is one of my favorites. The Quailhurst is one of my favorites too Marlynn! It looks like you had a great time at the estate! These pictures are awesome and really show off the business! Syrah sounds like it would have quite a unique taste; that’s such an interesting mix! Cool post! Thanks for sharing! Thanks for checking it out Morgan!